If that statement would have been made more than 10 years ago quite a few people may have thought it to be a bit questionable. Big corporate powerhouses seemed like they could control and dominate whatever they wanted. Particularly in the retail and service industries. However, technology changed, evolved, and became adopted enough that little industry ripples eventually became massive tidal waves of change. Today those changes are commonplace and that’s why Murdoch’s statement is so powerful. The question becomes, is your dealership fast and agile to meet today’s consumer demands or are you sitting just waiting to get passed by? Below are just a few of many examples of how fast disruptors turned big industries on their heads and left their counterparts scrambling for answers. Airbnb – Back in 2007 Airbnb essentially started off as two guys renting overnight stays on air mattresses in their apartment and making people breakfast the next morning. To initially promote Airbnb a website was created and ads ran on craigslist. As it grew, friends and others were recruited to become part of the Airbnb community. Then, BOOM! Through sound business decisions Airbnb is now valued around $31B and generates massive revenue from people using the service to rent the short term use of rooms, houses, and vacation rentals. What was a simple and new concept is now a massive worldwide disruption to the travel industry. Dollar Shave Club – Michael Dubin thought purchasing razors in retail stores was really expensive and inconvenient. So expensive and inconvenient that he decided to do something about it. In 2011, he started a beta website he launched from his apartment in order to try and solve the problem of providing quality razors at a fair price that could be purchased easily. His solution, a subscription to buy razors from him online. The razors arrived conveniently on subscribers’ doorsteps every month at a fraction of the cost of purchasing razors from retail stores. What happened next is awesome. After making the right strategic decisions, Dollar Shave Club became such a disruptor David and his investors sold it to Unilever in 2016 for $1B. Uber – Way back in 2008 two friends thought to themselves, “Why is it so hard to get a cab? There’s got to be a better way.” They noodled on how to solve the problem for a few years and landed on the idea to build an app for iPhones. They tested the app in New York with 3 Uber cars and found that the concept of letting vehicle owners use their cars to conveniently let people find them and catch rides for a reasonable price could work. Uber launched in San Francisco in January 2010. Uber is now subscribed to so well that it puts a massive dent in the transportation service and rental car industries. It’s currently valued around $50B – even after the recent negative press its received this year. Ok, so yes, each of those examples are now all massive companies. However, at one point they weren’t. They were small and bootstrapped and they each had something unique. They had an idea for change in industries that had a noticeable flaw and they were each incredibly fast and agile in finding those flaws and getting their solutions to market. What’s really cool though is each of them shared something very similar. They each developed simple solutions that made people’s lives less complicated. They were forward thinkers of change by challenging ideas, concepts, and business models that had been the same for decades and decades. They singled out their own frustrations and the frustrations of others. They questioned an old outdated way of thinking and positioned themselves as a simpler more convenient way. And, they harnessed tools and strategies that allowed them to be faster than their bigger counterparts. They are true representations of the fast beating the big and their models are applicable across all kinds of industries. Even automotive. Interestingly though, that doesn’t mean now that they’re all big they can’t still be fast. Think about that for a second. Then think how it can be applied to your dealership. Is there something you and your team can do differently to get ahead of the status quo? Something that solves the needs of your store and your customers by turning an old way of thinking upside down? Can you do it quickly? 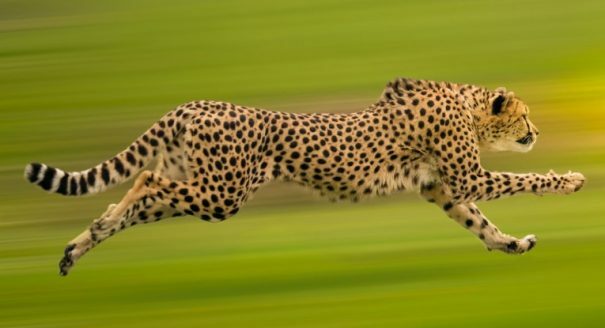 Regardless of your size, with the right mindset you can be as fast as you want to be. The key to doing it before your competition is to simply just get started. Receive our newest blog as soon as it’s published. Subscribe today!